Raw, unpasteurised Organic Thyme Honey has a beautiful rich caramel colour, intense aroma, and bold flavour with hints of heather and woody undertones. A popular herb among the ancient Egyptians, Romans, and Greeks, thyme was thought to bring courage, aid sleep, and is renowned for its powerful broad spectrum healing properties. 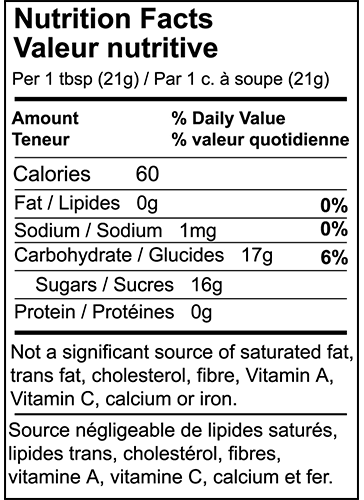 This honey is perfect for root vegetable marinades or an excellent addition for exotic stews. Thyme honey often ranges from clementine to flame in colour, falling into the Light Amber category on the Pfund colour grading system. 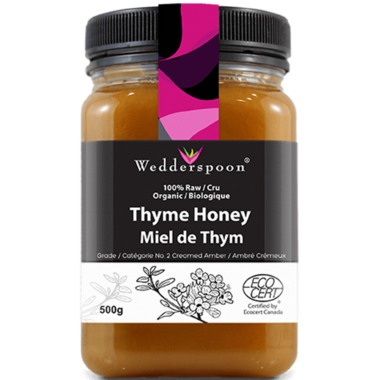 Thyme Honey has a beautiful rich caramel colour, intense aroma, and bold flavour with hints of heather and woody undertones.